Twentebelt provides technical information about wire mesh conveyor belts belts on this page. Click on a subject-heading below and the related section will expand. In some cases the conveying process needs to turn a corner. 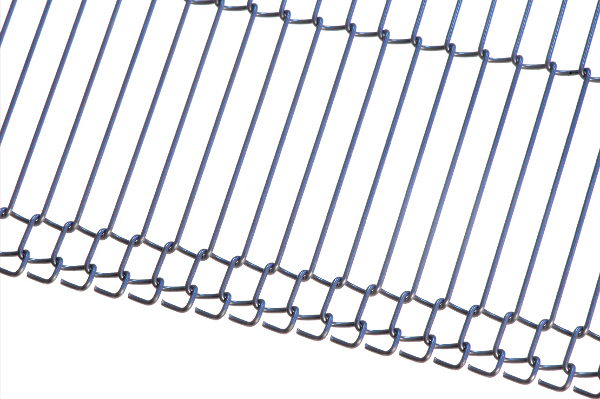 Twentebelt offers wire mesh conveyor belts for use in conveyor curves. Wire mesh conveyor belts are driven by sprockets made out of plastic or stainless steel. 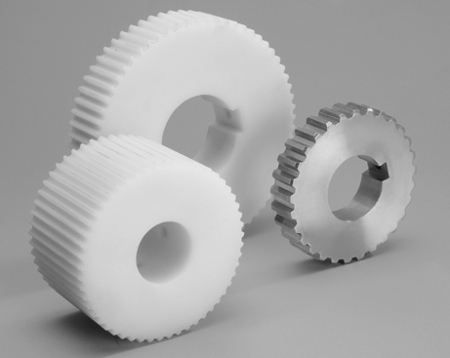 As drives are a crucial element in the operation of a conveyor belt they are developed and produced by Twentebelt and are intended to guarantee an optimal and uninterrupted run. 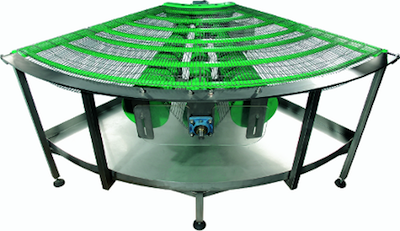 Wire mesh conveyor belts can be equipped with integrated flights or tips, or levels for fixed product spacing. The belt can be made endless simply by pinching shut a connector or by weaving in a pre-bent wire. Mesh length: Ranging from 25 to 150 mm. Wire diameter: Ranging from 0.9 to 2.8 mm. Pitch: Ranging from 3.8 to 28 mm. Separate a wire rod from the belt. Split this wire rod as illustrated below. Do not position the tubes in the driven sections of the belt. Connect the edges on both sides of the belt. Insert all individual parts of the rod. The use of a screw driver can simplify the act. Complete the connection by joining all sections with the separated rod and straightening it if necessary. The use of a long nose plier can simplify the act. Place the tubes on to the wire ends. Fix the tubes on the rod by squeezing the ends with the use of pliers. Finished! Your Twentebelt wire mesh conveyor belt is ready for use. 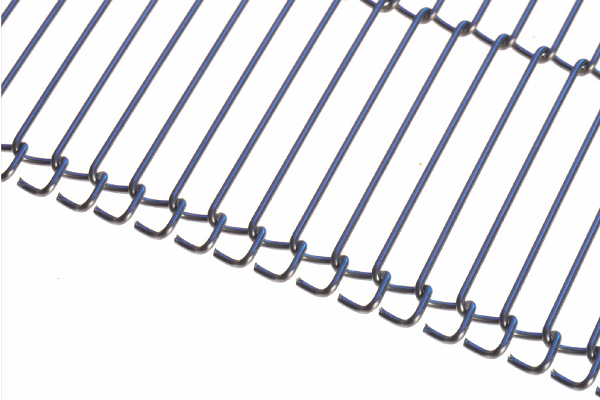 Wire mesh conveyor belts with a double bent Z-side can also be connected according to the same instructions. Connection tubes can also, if necessary, be used for repairs. Separate a wire rod from the belt and position the belt ends parallel to each other. Connect both belt ends by weaving in the wire rod, starting from the middle section. Continue connecting by joining all sections from the middle to both sides and straightening the wire rod if necessary. Finish by connecting the edges on both sides of the belt. Do you require additional technical information? Or do you have a specific question for our engineering team? Click on the button below to fill out a form and we will be in touch shortly. Requesting a quotation for a wire mesh conveyor belt is easy. Simply click on the button below to input your specifications and our experienced sales team will get back to you as soon as possible.